ECS Representatives meet virtually (roughly) every quarter and in person at the General Assembly in April. During the meetings issues such as future initiatives, how to get more of the ECS membership involved with the Union and how ECS activities can be improved, are discussed. 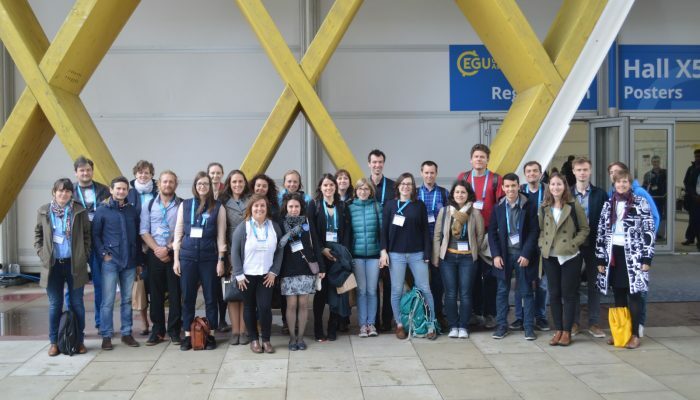 The representatives are also heavily involved in the running of ECS-specific activities at the General Assembly, such as the icebreaker, ECS Forum and the ECS Lounge. To get more of a feel for what is involved, read this blog post by the outgoing Geodesy Division ECS representative, Roelof Rietbroek, who gives an insight into his experiences while in the role. Application deadlines vary from divisions to division, but new representatives will be appointed before or during the upcoming General Assembly in Vienna (08-13 April). We recommend you get in touch with us ASAP if you are interested in applying for any of the vacancies. You can also keep in touch with all ECS-specific news from your division by signing up to the mailing list. For more details about how ECS representatives are appointed and the internal structure of individual divisions take a look at the website. Communicate Your Science Video Competition is now open!